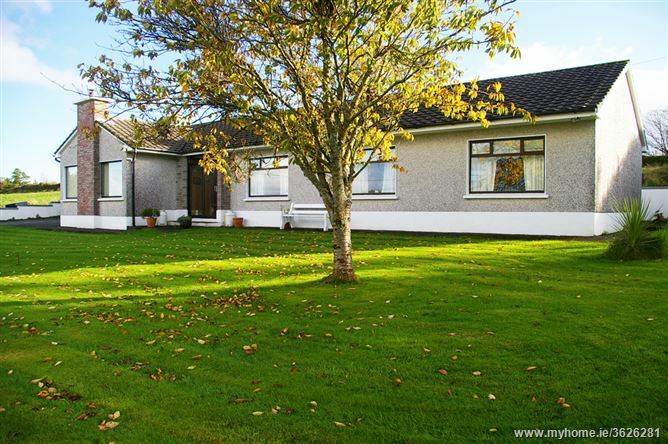 Modern Bungalow on 2 acres for sale in Ballygaughlin, Glin, Co. Limerick. This is a remarkable property with stunning panoramic views over the Shannon Estuary, North Kerry, West Limerick, Clare, Galway and Tipperary.